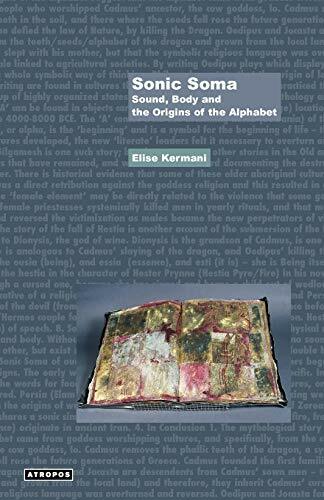 In Sonic Soma Elise Kermani traces the history of mankind from the origins of society and language to the present, and un-mutes the silence that resulted from forgetting, or refusing to hear, our own mythology 'right-side-up'. SonicSoma reunites the system of 'vibration/matter', 'sound/medium', and the double helix form of 'mind/body' which was split at the moment man began to write his history instead of listening to her story.Composer and multimedia artist Elise Kermani is the Director of IshtarLab Recordings, a publisher of experimental sound art, and the President of MiShinnah Productions, a non-profit organization that produces non-commercial film, music and visual art. She lives and works in New York City and also spends quality time thinking and writing at her home in Delmar, in upstate New York. Schirmacher is a philosopher of technology. He currently teaches Media Philosophy at the New School for Social Research in New York and is Professor in the Science-Technology-Society Program at Penn State University.